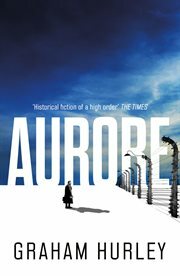 The item Aurore, Graham Hurley, (electronic resource) represents a specific, individual, material embodiment of a distinct intellectual or artistic creation found in Austin Public Library. Barely half of the Bomber Command's aircrews survive a full tour, but wireless operator Billy Angell has beaten the odds and completed his 30th - and final - mission. Now, Billy is due two-weeks leave, a posting to a training squadron and a six-month exemption from active duty. Except that MI5 need an airman to drop into Nazi-occupied France. MI5 are interested in Hľn̈e Lafosse, a frenchwoman keeping unusual company in her small family cht́eau in the depths of the Touraine. Hľn̈e has begun an affair with a senior Abwehr intelligence officer, who, in return, has turned a blind eye to the succession of Jews, refugees, resistance fighters and downed Allied airmen to whom she offers shelter. MI5 believe they can exploit this relationship and plant a false lead about the anticipated allied invasion of northern France. It falls to Billy, playing a downed airman, to find Hľn̈e, to win her confidence and to plant a lie that will only make sense to her German lover. But this time, Billy isn't flying at 20,000 feet and he won't be able to escape the incendiary consequences of his actions. Continuing Graham Hurley's trilogy charting the shadowy and often lethal pas de deux between rival Allied and German intelligence services during World War II.